I recently called a green industry businessman about a business opportunity – a business for sale in a complementary segment of the green industry. It wasn’t an obviously perfect fit, but I thought there was a chance he might be interested enough to take a look. After hearing that I was calling about a potential acquisition, he almost dismissed it without even hearing about the opportunity. As we talked, his tone changed a bit, and we agreed to meet after the holidays to discuss this and other opportunities down the road. This month, our highlight article is The Year in Review, probably our most popular feature, in which we recap the transactions of the past year. Although 2009 was a down year for merger & acquisition activity, it is both interesting and encouraging to see all of the deals that did get done. We have also included an article on Key Trends for 2010 in which we give our thoughts on what to expect in the coming year. We hope you enjoy the newsletter and invite your feedback. As always, if we can be of assistance or if you would like to confidentially discuss your situation, please give us a call. 2009 was definitely a down year for mergers & acquisitions within the green industry – and for just about every other industry as well. The twin specters of economic uncertainty and an often extremely challenging credit market caused the number of transactions to fall both out of necessity and out of caution. That being said, many transactions did get completed. In this article, we will recap many of the transactions that did take place as we try to make sense of what to expect in the coming year. Yellowstone Landscape Group and its private equity sponsor, Gridiron Capital, announced their third platform acquisition, Austin Outdoor, based in Bunnell, Florida, with a number of other offices in Florida, plus the Bahamas. The assets of Hines Horticultural were acquired by Black Diamond Capital Management, LLC. Hines had filed for bankruptcy protection in August 2008. The business is now known as Hines Nurseries, LLC. Hines is one of the largest commercial nursery operators in North America, operating seven nurseries in four states. Davey Tree announced it had acquired Monteleone Landscaping Company of North Royalton, Ohio. Bartlett Tree Experts announced the acquisition of Empire Tree and Turf in Augusta, Georgia, and Top Notch Treecare in Plymouth, Minnesota. Mission Landscape of Tustin, California, acquired Landarcwest, a landscape architecture firm based in Irvine, California. San Jose-based Jensen Corporate Holdings, Inc. acquired Huppe Landscape Company, Inc. of Roseville, California. Arizona-based Pathway Landscape, a landscape architecture firm, announced what it called a strategic partnership with Paradise Full Service Landscaping of Scottsdale, a full-service landscape maintenance business.  The combined company, operating under the name Pathway Landscape Maintenance & Design, serves Scottsdale, Tempe, Phoenix and nearly every other city in the Valley of the Sun. Denver-based American Civil Constructors sold its landscape maintenance unit, ACC Landscape Services, LLC to Progress Equity Partners. ACC Landscape Services operations are in Colorado and Northern California. Noblesville, Indiana-based Custom Touch Irrigation acquired Indianapolis-based Perfect Property Services. The Brickman Group announced it had “formed a partnership” with Pontiac, Michigan-based Torre & Brugglio. Brighton Partners, LLC acquired a 70% interest in New England lawn care company, Lawn Dawg, Inc., in a recapitalization. Lawn Dawg has operations in Nashua, New Hampshire, Boston, Massachusetts, Albany, New York, and Portland, Maine. Lawn Dawg’s president, Jim Campanella, continues in that role and as a major shareholder. In announcing the recapitalization, Campanella, an industry veteran and former president of the Professional Lawn Care Association of America, also announced plans to launch an acquisition program. Austin Outdoor, LLC, a unit of Gridiron Capital-backed Yellowstone Landscape Group, acquired Dolphin Landscape of West Palm Beach, with operations serving Martin, Palm Beach and St. Lucie Counties in Florida. Sav-A-Tree announced the acquisition of H.R. Spooner Ornamental Care of East Falmouth, Massachusetts on Cape Cod. The Brickman Group announced the acquisition of D. Foley Landscape, Inc. of Walpole, Massachusetts. Also in October, two Atlanta-area lawn care businesses, Crabapple Turf Management, Inc. and Unlimited Landscaping and Turf Management, Inc., merged their residential lawn care businesses. Massey Services, Inc. completed the acquisition of Sunair Services, Inc. and its Middleton Pest Control subsidiary. The merger, the final chapter in a well-publicized take-over battle, combined cross-town, Orlando-area rivals and formed a very strong statewide network in the key state of Florida. In May, Lawn and Landscape quoted newly-named TruGreen Lawncare president Steven Donly as saying, “Strategic acquisitions have always been a fundamental component of TruGreen’s growth strategy. We believe we can bring owners a compelling business case for growth and create a winning combination for customers looking for outstanding service from a brand they can trust.” TruGreen does not normally announce individual acquisitions, but in August it announced the acquisition of Nutri-Turf in Michigan and Easy Chair Lawn Care in Ohio. An analsyis of the public filings of The ServiceMaster Company, TruGreen’s parent company, suggest that TruGreen completed acquisitions totaling approximnately $15 million during the first nine months of 2009, compared to approximately $20 million during the first nine months of 2008. Two major acquirors in years past, Scott’s Lawn Service, a unit of The Scott’s Miracle-Gro Company and The ValleyCrest Companies reported no acquisition activity during the year. Now that we seem to have passed through the worst of the recession of the laswt two years, we believe there are some key trends to look for over the next year. This trend began in the latter part of 2009. Many industry players expressed an interest in pursuing acquisitions during 2009. Their efforts in this direction were limited by the lack of available quality sellers and limited access to financing. Both of these limitations are becoming less significant as we move into 2010, so we expect strong industry players to aggressively seek out high quality opportunities. There will be a number of weaker industry players who delayed action in 2009, expecting (or hoping) for a quick turnaround, who will explore opportunities to sell or combine with stronger companies. Our theory is that many transactions are motivated by “life events” instead of industry or economy-wide conditions. Such life events include illness, death, divorce, retirement, etc. Transactions resulting from “life events” can be deferred but not avoided entirely. Many potential transactions of this kind were deferred in 2009 due to market conditions, but will be pursued in 2010, creating a potential “bubble” of available transactions. Rumors abounded in 2009 of private-equity backed consolidation efforts emerging in various sectors of the green industry. At least some of these potential projects will likely emerge in 2010. The Obama administration will continue to support initiatives to help small business, especially Small Business Administration loan programs. However, there will be continued uncertainty on immigration reform, exasperating many green industry employers and causing some to throw in the towel. Long-term capital gains rates for many taxpayers are scheduled to increase from 15% to 20% on January 1, 2010. While there will likely be efforts to either eliminate or delay the increase, the specter of the federal deficit will make such efforts less likely to be successful. As a result, many potential sellers considering a sale in 2010 or 2011 will seriously consider accelerating potential transactions into 2010. The green industry naturally gets a boost from the trend toward green practices by both businesses and consumers. Green industry firms that cater to businesses and individuals who are “going green” will become increasingly attractive buyers and sellers. We often receive feedback from our readers on various articles included in Green Industry Merger & Acquisition News. Beginning this month, we will share selected comments. A reader last month commented on the article entitled The Christmas Tree Index. The reader pointed out that his understanding was that while sales of live Christmas trees were up this year, sales of artificial Christmas trees were way down from year-ago levels. The reader speculated this phenomenon resulted from the high one-time cost associated with quality artificial trees. We hope it also reflects the growing realization that artificial trees are not nearly as “green” as many people have believed. How to Sell Your Green Business: A Guide for Green Industry Business Owners. How to Sell Your Green Business is a practical guide for owners of green industry businesses such as lawn care companies, landscape contractors, nurseries, garden centers and similar businesses considering the sale of their business either now or sometime in the future as part of an exit strategy. How to Sell Your Green Business was written by Ron Edmonds, president of The Principium Group. He walks readers through the process and gives tips for improving the value and marketability of their businesses while avoiding common pitfalls. The book is targeted at business owners who will be selling their businesses themselves as well as those who will be using an intermediary or business broker. How to Sell Your Green Business is available from Principium, the publisher and various channels. For more information, visit books.PrincipiumGroup.com. A Toolkit for Selling Your Green Business. The Toolkit is intended to supplement How to Sell Your Green Business: A Guide for Green Industry Business Owners with a series of worksheets to guide business owners through the potentially confusing process of preparing to sell their business. This process can be valuable for both owners considering selling their business themselves and those who plan to use an intermediary or business broker. For those who plan to sell their business themselves, it provides a structure for the process and tools for such processes as calculating cash flow and preparing and placing an online advertisement for the business. For those who will be using a business broker or other intermediary, the process will help them prepare, be actively engaged in the process and understand the steps in the process. The Toolkit comes in a three-ring binder with access to a special website which has extra copies of the worksheets and other extras which can be downloaded. For more information, visit books.principiumgroup.com. The Principium Group provides mergers & acquisitions and business brokerage services to a variety of middle market and small businesses, with a focus on the green industry. Our professionals have assisted buyers and sellers in hundreds of transactions. For buyers, Principium provides assistance and counsel in strategic planning, identifying potential acquisition targets, due diligence and planning for successful integration of acquisitions. For sellers, Principium provides assistance and counsel in evaluating strategic alternatives, identifying and negotiating with potential acquirers and assisting with transactions from due diligence through the closing process. We understand that the decision to buy or sell your business is a profound one, and we pledge to work with you in a professional and confidential manner while we help you navigate this often confusing process. Whether you have immediate plans to buy or sell a business or may sometime in the future, we would welcome the opportunity to talk with you about your business. The transaction information included in this newsletter is derived from publicly available sources. Our intent is to give a perspective on the industry taken as a whole. The inclusion of a transaction in this newsletter does not imply that The Principium Group acted as an advisor to either of the parties to the transaction. It is the policy of The Principium Group always to maintain the confidentiality of its client relationships. For those transactions in which The Principium Group did play a role, the information included herein is still limited to that available through public sources.